Winning big in online casinos is a momentous occasion. Gaining the progressive jackpot on a slot machine or gaining a lot of money from a couple of rounds of poker is certainly something to be excited about. There’s a reason why they call it a winning streak and that’s because some gamblers don’t stop playing. If you’re feeling the rhythm, if you have a clear strategy on how to handle the next few rounds, if you’re willing to take the risk, take a substantial portion of your earnings and get another round or two. Who knows, you might just gain another chance to win big at the games. If you feel you’ve had enough of playing in online casinos, stop. Only play if you feel like it. Don’t force yourself to have another round. Once you’re ready to stop, make sure to withdraw that money. This way, your cash is safe and you won’t get that much tempted to play another game or two. After getting a good win from gambling online, this might be the best and only opportunity you have to take a quick break from playing. Get out of the house, go for a run, hang out with friends, or be productive and actually get some work out of the way. If you have a couple of minutes to spare, look back on your victory. Identify how it happened. What were the factors that contributed to your win? How did the game happened? What did you do? How much did you bet? What was going through your mind? Are there any insights that can be used for future games? Answering these questions might lead to more wins and bigger payouts in the near future. If you’re thinking about what to do with your money after gambling online, there are certainly great ways to go about it. First, you can finally purchase that one item that you need in your home. Whether it be a new air conditioner, refrigerator, washing machine or even repairs to your bathroom, your oven or even that annoying crack in your wall, we say go for it. After all, wouldn’t it be great if you can turn your progressive jackpot winnings into something that would improve your living spaces or make the people around you a little bit more comfortable? If the payout is really big, and you as a winner have amassed quite a figure already because you saved your previous winnings from the slot machine or any game you might have played, why don’t you invest in something worthwhile? Whether it be funding an online business or buying a stake at your local startup, this might be a good way create a substantial and sustainable revenue stream for you. 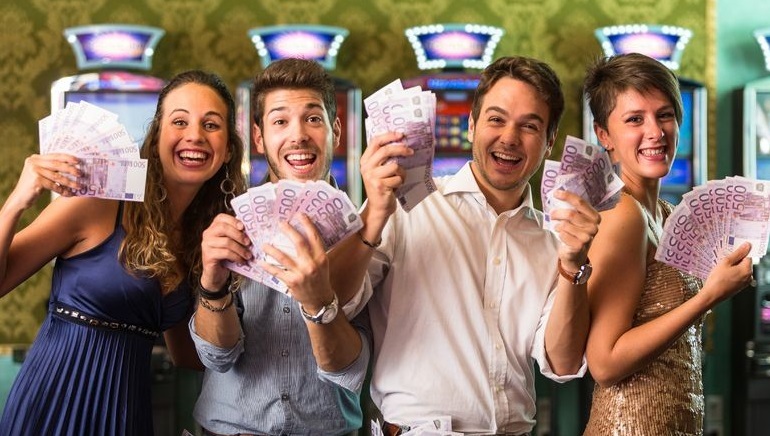 Be smart about those winnings and being a winner and follow these tried and tested tips!